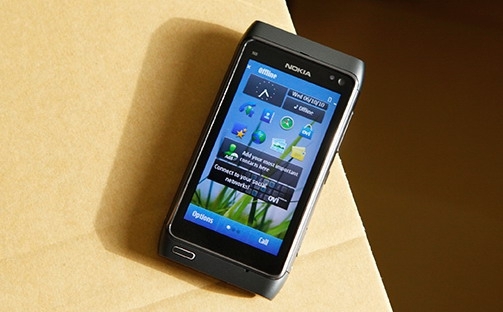 Will Nokia Announce a Windows Phone 7 Partnership Tomorrow? "Microsoft and Nokia are close to cementing a partnership to produce mobile phones together, according to multiple reports. It's like that celebrity couple you never expected to hook up, but who somehow did. Even a former Nokia employee was betting against the prospect of the phone maker working with Microsoft, which would involve shipping Nokia hardware with Microsoft's new Windows Phone 7 operating system." Will Nokia drop a bomb on the mobile world tomorrow and announce that they'll be partnering with Microsoft on a Windows Phone 7 device? My Magic 8 Ball says "It's looking good." Nokia is in a tough spot, having made little to no ground with home-grown MeeGo, and in a year lost over 10% world-wide market share. Nokia makes excellent hardware, but I've personally found their software to be utterly lacking, and their attempts at building an ecosystem have been mixed at best. I could see Nokia pulling a Palm - build a Windows Phone 7 line for a generation or two, then when their own software is ready, they ditch Microsoft. Of course, we saw how that worked out for Palm...yet Nokia is bigger and has a lot more money. We'll see what happens tomorrow - but I for one would welcome the excellent hardware designs of Nokia into the Windows Phone family. Will Nokia drop a bomb on the mobile world tomorrow and announce that they'll be partnering with Microsoft on a Windows Phone 7 device? My <a href="http://web.ics.purdue.edu/~ssanty/cgi-bin/eightball.cgi" target="_blank">Magic 8 Ball</a> says "It's looking good." Perhaps they saw this 2008 post, and thought, "hey, why not?" There goes favorite April Fool's Day joke as I remember. Every year, "Nokia is releasing WM Phone" well, looks it's true what folks are saying - In every joke is only a small part is a joke, most of it is true"
It's indeed great news. Nokia has always had absolutely the best hardware out there, unlike current Windows Mobile hardware manufacturers with their (compared to, say, the Nokia N8) mediocre cameras, battery life etc. Now I won't be keeping two phones (a Nokia N8 for camera and plain phoning capabilities and a WinMo one). I only hope they also keep the unique capabilities of Symbian making it, in some respects, far better than any other smartphone OS (BB, WP7, Android, iOS) - the ability to record both parties of calls.